Develop Your Education. With a professional certificate from Trident University. 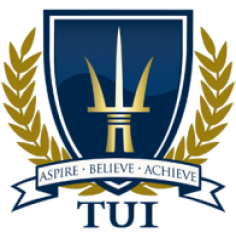 Trident University’s fully online certificate and diploma programs are designed for busy adult learners and leaders, like you. No matter where you are in your career, Trident prides itself on providing convenient professional development opportunities for those looking to learn. Students in Trident’s online programs will be prepared to take on challenging yet fulfilling careers. Trident offers a variety of online certificates and diplomas from their professional development programs. These programs are geared toward individuals looking for a career change, new skill sets, or simply looking for career advancement. Professional development in both business and health sciences. Trident’s Online Certificate and Diploma programs cover a range of topics. Whether your interest lies in the world of business, or you’re looking to lend your skills to the health information industry, Trident offers the opportunity for professional development in areas that matter to you. Computerized Accounting Certificate – A six month certificate to prepare students for a career in accounting and bookkeeping. Students can expect to develop financial experience with QuickBooks, Sage 50, Tax Preparation, and various other accounting procedures. Computerized Accounting Diploma – The nine month Computerized Accounting Diploma prepares students interested in becoming a tax preparer, accountant, or assistant office manager with classes like Quantitative Methods and Critical Thinking. Business Analytics Certificate – This five month big data certificate program gives students an introduction to data analysis in the business world. This certificate prepares students for future careers by instructing on statistical and quantitative skills. Medical Billing Certificate – This nine month program give students the tools to work in the health field. These students will gain exposure to standard science courses like Anatomy and Physiology. In addition to gaining a background in science, students will learn medical billing procedures, basic coding, and the legal and ethical standards needed for a career in medical billing. Medical Billing and Coding Certificate – Students who successfully complete this 12 month certificate will have a firm grasp of current ethical standards and U.S. coding standards, in addition to a strong background in science and medical terminology. Particular careers require clearance of one’s criminal record before they are able to practice. It is the student’s responsibility to ensure that there is no criminal record that interferes with the practice of their profession for the certificate in which they are enrolled. Trident also offers stand-alone certificates to provide post baccalaureate graduate students expanded knowledge in a specific field of study. Certificates do not qualify for Title IV federal financial aid and must be applied for separate from any degree program or concentration. Certificates are offered through their respective degree programs. An earned bachelors degree is required for enrollment in any graduate certificate course.